Sight: The traditional combined with modern design graces the interior with each zone featuring a different theme and purpose. Scent: the boutique is laden with Sulwhasoo signature scent- ‘first-peace’ scent, enhancing the relaxation experience. Sound: Soothing and melodic traditional Korean instruments enhance the shopping and facial experience in Sulwhasoo store. Sulwhasoo’s first standalone store offers a full range of product showcase where you can try all of Sulwhasoo’s skincare, makeup selection and some exclusive items, such as Harmonizen Regenerating Cream EX, Essentrue Silky Body Serum, Essentrue Deep Nourishing Body Cream, Essential Balm and limited edition First Peace Candle. The boutique also offers special services such as gift-wrapping, pampering, beauty workshops, private events, and exclusive facial treatments in its beauty lounge. 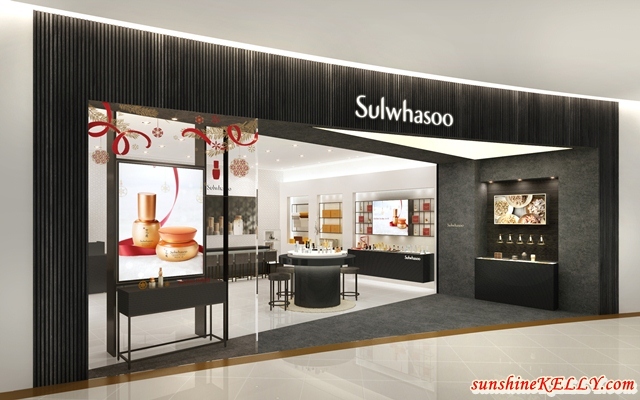 Sulwhasoo will also be launching its first beauty lounge at Sulwhasoo Sunway Pyramid Boutique in March 2017. The beauty lounge consists of three facial treatment cabins and a powder area for customer to touch up after their facial treatment. 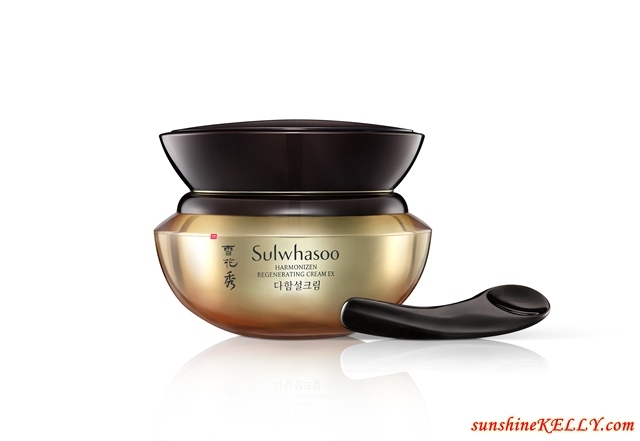 Sulwhasoo beauty lounge is a place for experiencing the holistic beauty with Asian wisdom. It focuses on balancing the body and mind, enhancing yin energy to create beauty from the inside out with the traditional Korean herbal medicinal therapy to complete the supreme beauty. 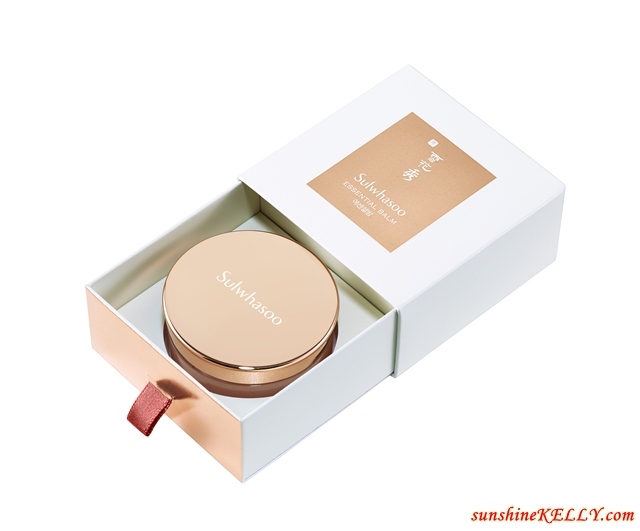 A luxury anti-aging cream, the first Korean product that is formulated with Dermosul™, Sulwhasoo's proprietary complex of salvia miltiorrhiza and ginseng, to restore the youthful energy to skin. An anti-aging body cream that delivers moisture and elasticity to skin. It is formulated with nutrient-rich honey and Schizophyllum commune extract to boost skin’s elasticity, leaving it supple and smooth. Essentrue Silky Body Serum consists of natural essential oil complex of Pine Nut Oil, Lotus Fruit Oil, Camellia Oil, Prunus Mume Oil, and Apricot Kernel Oil hydrates dry skin and restores loss of resilience for your body. Essential Balm, a multi-purpose soothing balm, formulated with Safflower extract, nourishes skin damaged by cold and wind, activating skin turnover to clear away dead skin cells, while leaving skin moisturized and glowing. All these exclusive items are available at Sulwhasoo Sunway Pyramid boutique only from December 8, 2016. This looks really relaxing and it was my first time hearing this brand. The ingredients looks really great by the way. This looks very royal. It would be a pleasure to get pampered here. The place looks clean and elegant. The overall design of the store shows that it offers quality products and services.